The 22- year- old is widely regarded as one of the hottest prospects and was pivotal in Germany’s commanding performances en route to winning the Confederations Cup in 2014. The German has scored 42 goals in 77 appearances for his club and such form has re-ignited rumours of a departure this summer amid interests from Manchester United and Real Madrid. 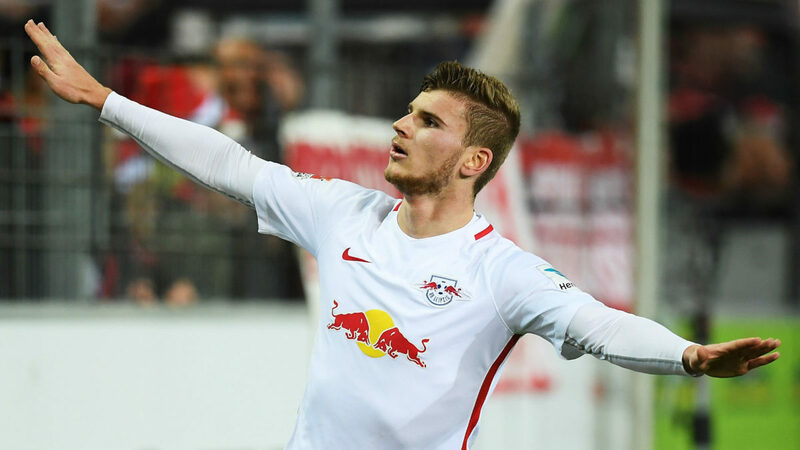 But in a recent interview, Werner has suggested he could follow the footsteps of his teammate, Naby Keita who is set for a move to Liverpool. ‘’To become a world class player, I’ll probably have to play in a better team at the highest level’’ he told Welt. ‘’I want to be honest, Naby Keita hasn’t become World class with us either, he may now be at Liverpool’’ He further stated. The Reds’ attacking philosophy instigated by man manager Jurgen Klopp have resulted in them being mooted as an attractive destination for top players, with the recent signing of highly rated Fabinho from AS Monaco, a further proof of Klopp’s enhancing power. Werner has also expressed his desire to move the Premier league, albeit not in the nearest future in an interview conducted with sports outlet, FourFourTwo earlier on this year. ‘Unai Emery wants him’ – Experienced defender hints at a move to Arsenal.